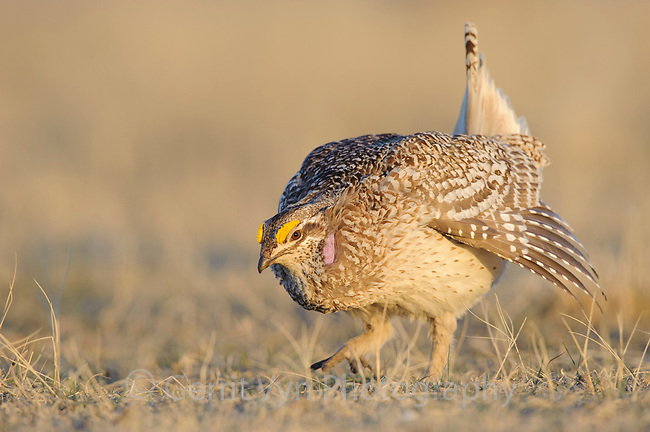 Adult male Sharp-tailed Grouse(Tympanuchus phasianellus) making an aggressive charge on a lek. Ft. Pierre National Grassland, South Dakota. April.